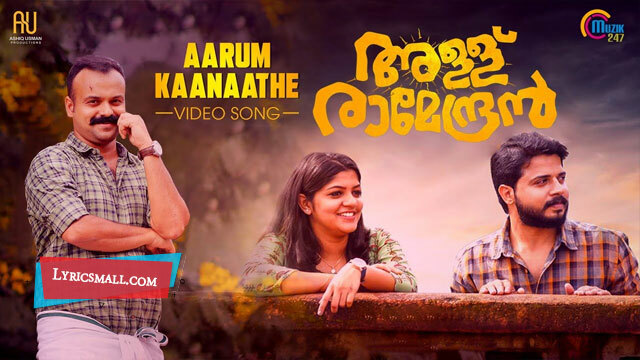 Aarum Kaanaathe Lyrics from Allu Ramendran Malayalam Movie. Directed by Bilahari. Produced by Ashiq Usman under the banner of Ashiq Usman Productions. Starring Kunchacko Boban, Chandini Sreedharan, Aparna Balamurali, Krishna Sankar, among others. Music composed by Shaan Rahman. Lyrics were written by Harinarayanan BK. Sung by Adheef Mohammad. Song released under Muzik247 official label.